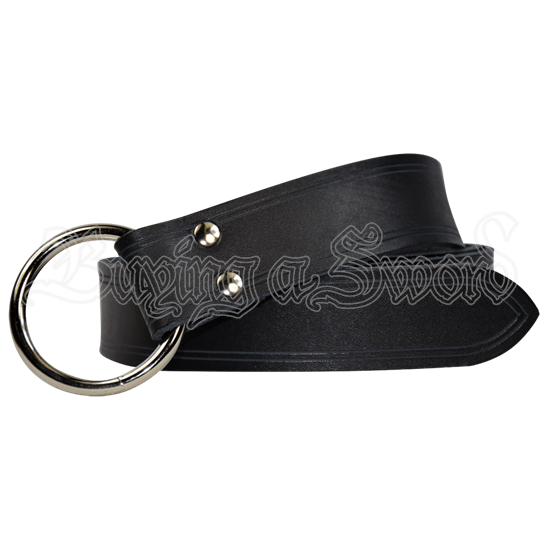 Our Double Lined Medieval Ring Belt is perfect for any medieval or renaissance outfit. Made of 7/8 oz. 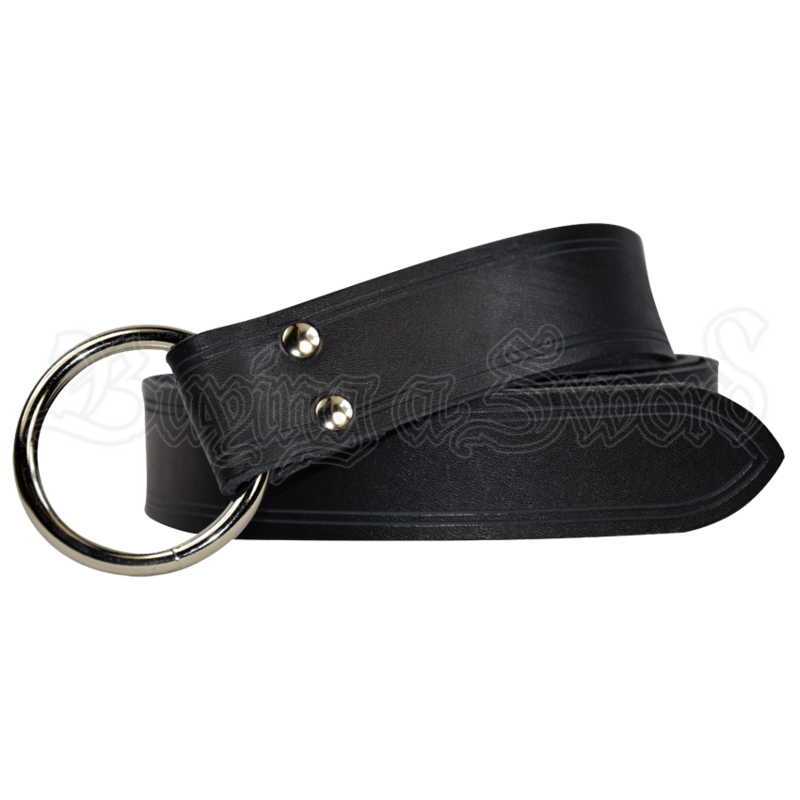 sturdy belt leather, it is 1.5 inches wide and comes in two different lengths, 60 inches or 72 inches. It is also available in a wide varieties of colors, including black, brown, red, green, blue, and natural undyed leather. You also have your choice of silver (steel) or gold (brass) hardware. I was very pleased with the belt. I bought it for my french musketeer outfit and it works great. The brown belt color matched perfectly with the leather armor that I had already from a local renfest. The belt is on the orange side of brown, but it looks great. I wanted to make sure the belt fit, so I got the 72 in belt. I am a large man and it fit great, with plenty to spare. The extra length gives a great aesthetic.